Sen. Brian Boquist says Senate Bill 1528 could be the ideal test case to gain clarity on the definition of a revenue -raising measure. With a veto from Gov. Kate Brown increasingly unlikely, a tax bill that tempers state losses from federal tax reform may be decided in the Oregon courts. The Oregon Legislature passed Senate Bill 1528 earlier this year to preserve $244 million in biennial state tax revenue that otherwise would have been given as tax breaks to businesses, under the federal tax plan. Sen. Brian Boquist, R-Dallas, vice chairman of the Senate Finance and Revenue Committee, has said he plans to challenge the bill in court because he believes the way it was passed was unconstitutional. Under the Oregon Constitution, bills to raise tax revenue must originate in the House of Representatives and receive a three-fifths majority vote from both chambers. Senate Bill 1528 passed with a simple majority, with all Republicans voting against it. 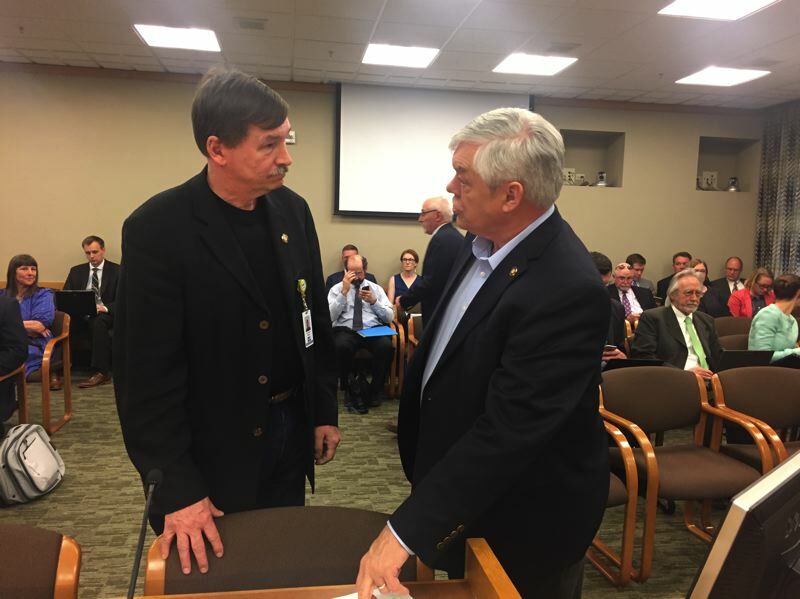 "SB 1528 is the best bill since 2005 to test the definition of a 'revenue' bill under Article IX" (of the Oregon Constitution, Boquist wrote in a March 25 email to the Governor's Office. "Taking this to regular tax court, then (onto) the Supreme Court will resolve the debate on Article IX for better or worse," he wrote. Boquist said he will have to wait until after June 15 — the next quarterly tax filing deadline — to ensure "standing" in the case. He would name the governor, House Speaker Tina Kotek, D-Portland, and Senate President Peter Courtney, D-Salem, as defendants in the case. Boquist said his small businesses would be among many that would be affected by the legislation. Among them, two farms he owns in Polk and Yamhill counties are a sole proprietorship. He has a Wallowa timber property and cartridge and training company that are LLCs and a pinyon nut operation, which is an S-corporation. Oregon automatically conforms to the federal tax code unless state lawmakers pass legislation specifically to modify it. That's what lawmakers did with Senate Bill 1528. The legislation prevented so-called pass-through businesses — sole proprietorships, partnership, limited liability corporations and S-corporations — from deducting up to 20 percent of their business income from their 2018 tax return. The businesses may still claim the deduction on their federal taxes but not on their state taxes. Rep. Julie Parrish, R-West Linn, has said the bill will negatively affect hundreds of thousands of Oregonians who own small businesses. Last month, Brown expressed reservations about earlier versions of bill and said her office was still analyzing how the revised bill would affect small businesses. Gov. Kate Brown has until Friday, April 6, to announce whether she plans to veto the legislation. If she doesn't veto or sign the bill by April 13, it automatically becomes law. Meanwhile, the Small Business Association has filed an initiative petition for the 2020 ballot that would require that all "tax rates, calculations and loopholes afforded to the largest publicly-traded companies" be provided to small and family-owned businesses."